AP United States History is a very challenging class. You will encounter many bumps along the road but I promise you will survive the class. AP classes are different, and therefore it’s challenging to find an effective way to study. 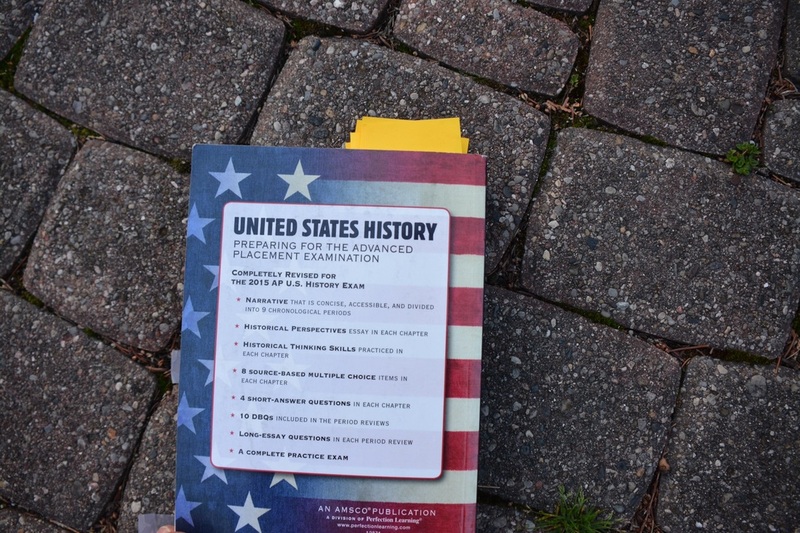 A great way to study is to use the United States History: Preparing for the Advanced Placement Examination Book, which is nicknamed the “Bible” by Ms. Steimer, the AP US History Teacher at Grosse Pointe North. 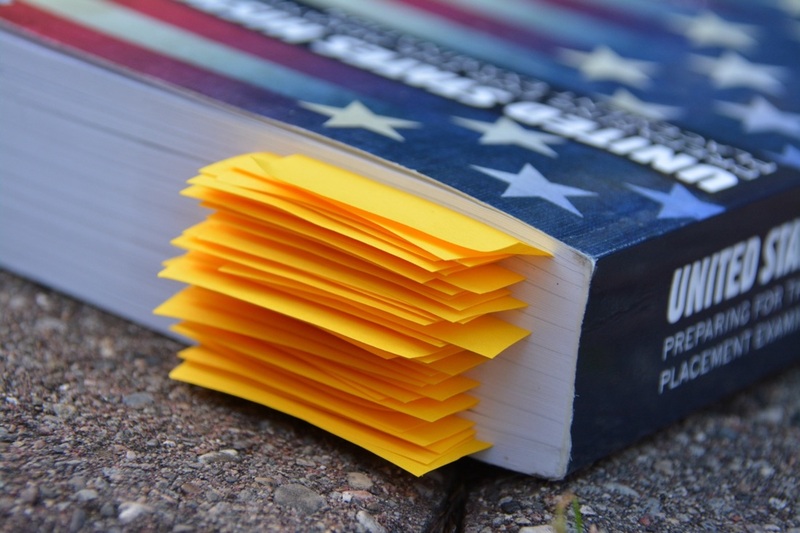 Using the book before tests, quizzes, and the final AP Exam in May will aid in your understanding of United States History. The book is filled with concise and accessible information that is divided into nine chronological periods. After each period there is a period review with DBQ questions and documents. In total there are ten DBQs. Following each chapter is a set of eight STEM questions. Only STEM questions will be on the final AP Exam in May. Practicing these types of questions is important, but there is a very little amount released by the College Board. The book contains over 240 STEM questions and one full practice exam. All answers to the STEM questions following the chapters are in the book on sticky notes, hence all the yellow postit notes. In addition, the book contains historical perspective essays, historical thinking skills, short-answer questions, and long-essay questions in each chapter. Ms. Steimer encourages students to buy this book, and throughout the year she will give reading assignments from the book. ​NOTICE: This book is intended for Advanced Placement United States History students. The 2015 edition of the book will be used for the 2016-2017 school year一 this has been approved by Ms. Terri Steimer, the Advanced Placement United States History Teacher at Grosse Pointe North High School. Answers to the practice exam are not provided. The price of the book is subject to change and may be equal to or higher to the price of a new book. Purchase is final and nonrefundable. Michal Ruprecht is not responsible for any damages to the book.